A wildlife bus tour of Denali affords views of fantastic mountain scenery, Dall Sheep, Carribou and Grizzly Bears. 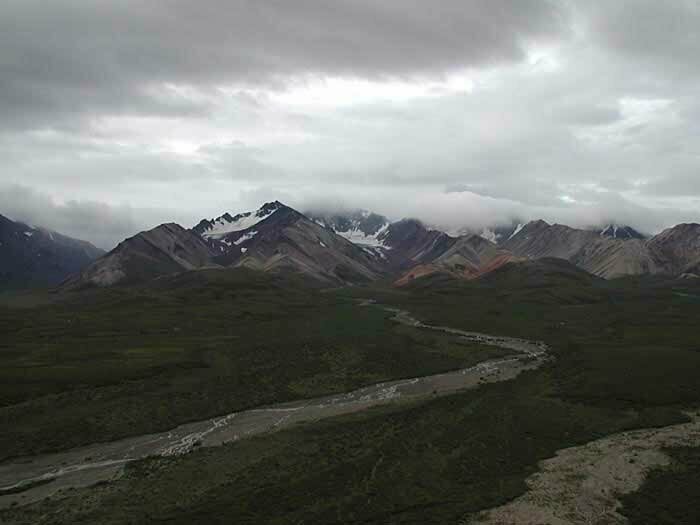 Here's a shot of the Polychrome Valley from Polychrome Pass. Click here to see a 180° degree QuickTime panorama view from this spot.